Recovery from Hurricane Irene is still in the early stages, but another potential problem storm is stirring in the tropics. Katia, classified a tropical storm Tuesday morning, has been tracking north and west through the Atlantic. 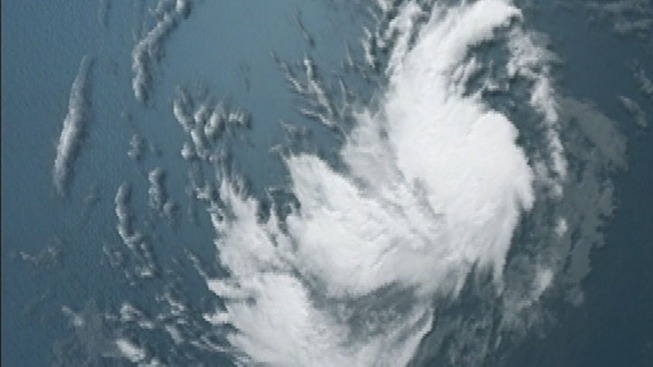 In the latest advisory, the National Weather Service predicts the storm will continue to strengthen, and could reach hurricane strength late Wednesday or early Thursday. If the storm holds together, current projections place it near Puerto Rico overnight on Sunday. It’s far too early to say whether it will continue to follow a similar path as Hurricane Irene, but while some computer models show it blowing off to sea, others have it coming very close to the region. Watch Irene as it crosses the Long Island shore in this amazing time-lapse video shot by our very own producer Jeff Richardson. NHC forecasters said it's too early to tell where Katia's going. "There's some chance that no one will be affected by it, it's too early to say," said National Hurricane Center forecaster Todd Kimberlain. "Since it is the peak of the hurricane season, everyone should be paying attention to it."